The map price includes postal delivery. Stanfords in the UK also sell a selection of NewTopo Maps online. The internationally-known three-day Milford Track is set in some of Fiordland's most spectacular scenery. On this map it is portrayed on a fully-detailed topographic background, which does justice to the environment. 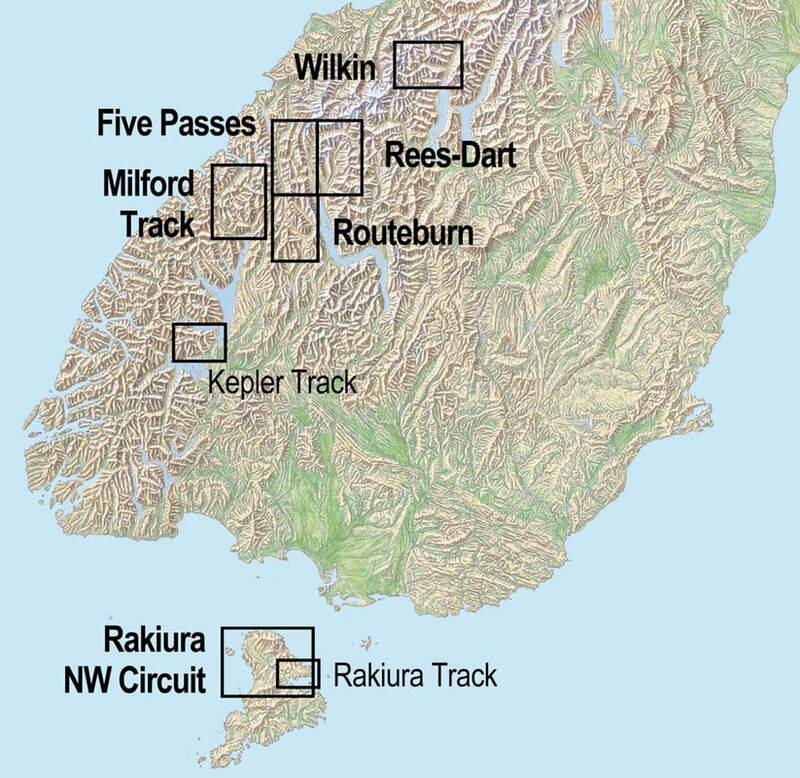 The full track from its beginning at the head of Lake Te Anau to the destination at Milford Sound is shown. A combination of contours and relief shading gives a realistic landform. Large format 600x840mm (A1) Folded to 120x210mm. 20m contours. 1km grid. 10 minute geographic graticule. Printed on 90gsm Polyart synthetic paper (waterproof). Please read our terms & conditions, including delivery and return information. Delivery within NZ can be expected within 5-7 days.